To the side of the Refugio Lopez is a tenting area; my spot was the flat area with the ring of rocks as a boundary that you see on the bottom of the image below. That rocky slope is the one I had come down the previous afternoon from Pico Turista. Unfortunately, I didn’t think to take a photo until I packed away the tent! The spot was quite exposed and normally I would not even have considered it. However, the weather continued to be exceptionally kind – no wind during the night and no rain. And now it was morning and the clear sky promised yet another fine day for walking. Well, not a day of walking! Maybe a two-hour downhill to the road at Arroyo Lopez where the trail ends on the side of a small snack bar. 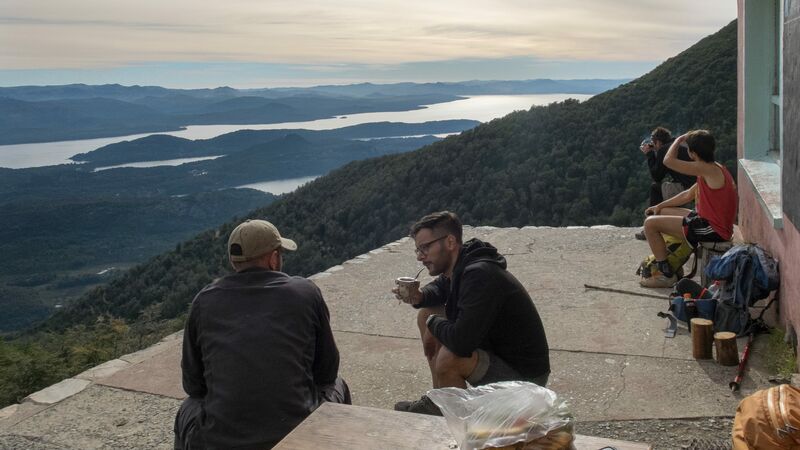 In fact, the end is so close that many hikers do not stop to spend the night at Refugio Lopez, preferring to keep on going to the road and then returning to Bariloche at the end of Day 4. The Refugio Lopez was not very busy and there were few people who overnighted, my Porteño campañero de sendero Diego being one of the few. Unlike me, he had not brought a tent along, though he did have a sleeping bag and sleeping pad. 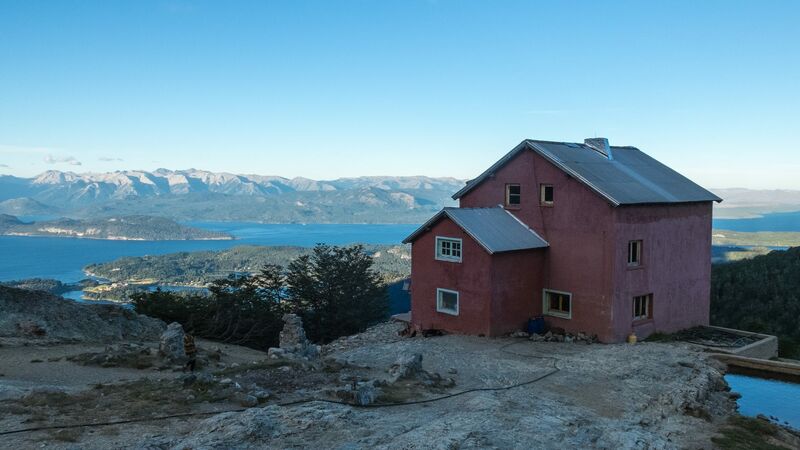 Since I didn’t have a place to stay in Bariloche the night before, the Refugio Lopez made for a great place to chill with the few other hikers and enjoy the evening views. I used the dining area to have both supper and breakfast. Since “cooking” only involved adding water to my dehydrated Pad Thai supper and to my oatmeal breakfast, I just got the kitchen staff to boil up some water for me. 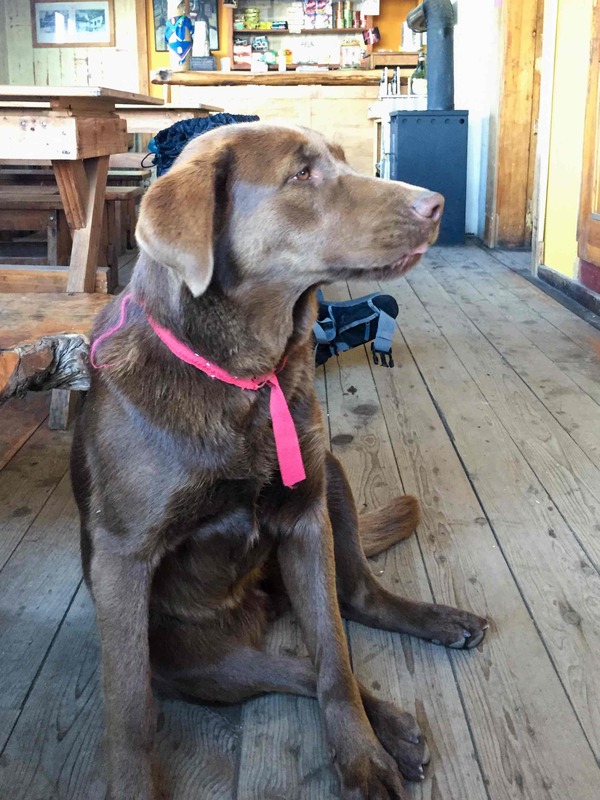 Nobody was up in the morning except for my buddy Lopez when I walked onto the Refugio porch. 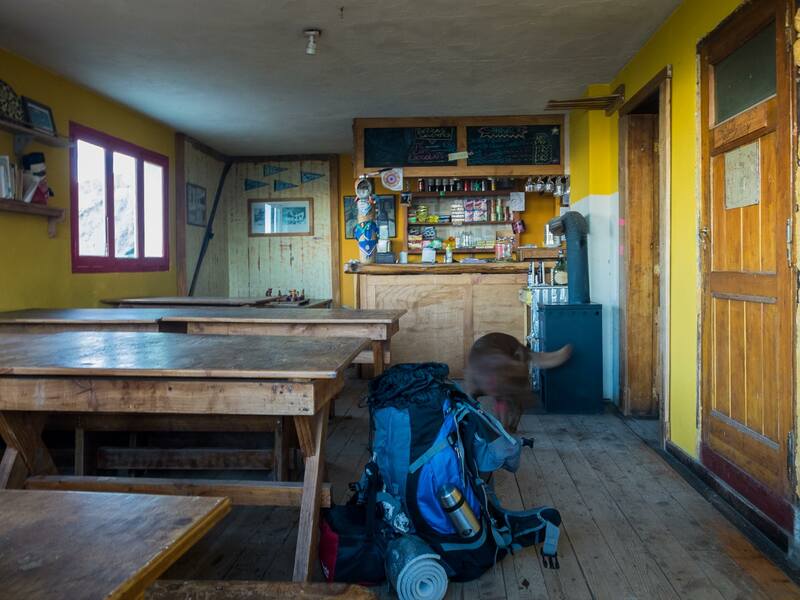 Breakfast done, I got a bit more hot water and made a second cup of coffee and joined Lopez and a few hikers on the front porch of the Refugio. 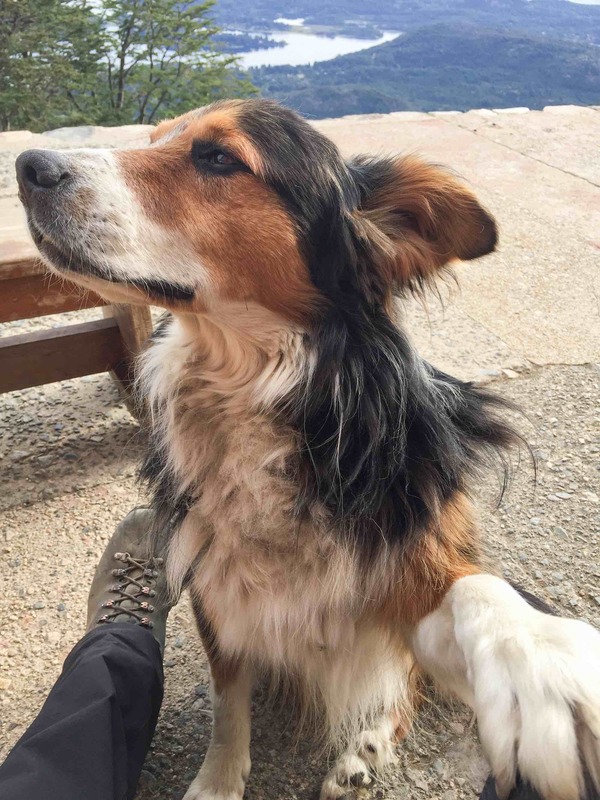 Lopez was the other dog; he had wandered up to the hut a couple of days before and was still hanging around. The night before I had spent a half hour deburring his fur while taking in the sunset views. 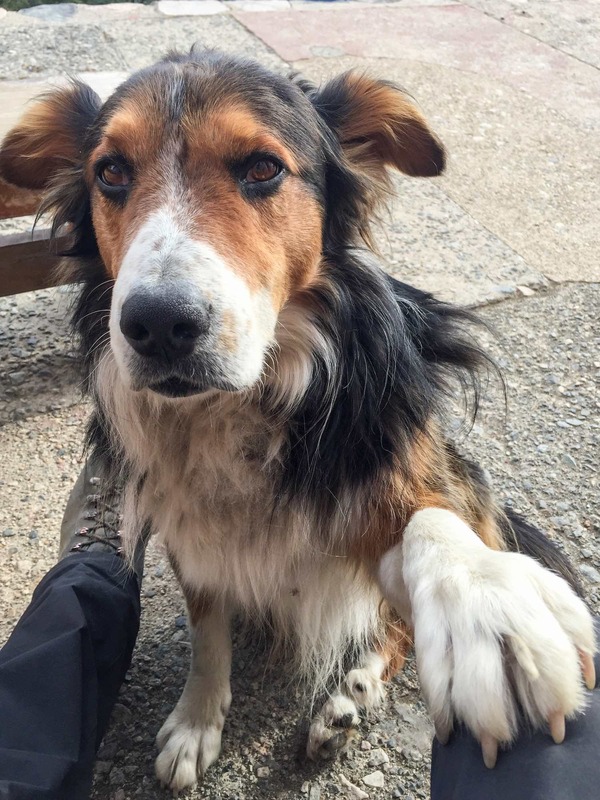 So here he is in the photo above the next morning with his paw on my right knee, a signal that he wants me to keep giving him attention – as in ear scrunchies and belly rubs! I hope he is being taken care of these days. Maybe he just wandered away from his people at the bottom of the hill for a little adventure. It would have been reassuring to see a collar on him! 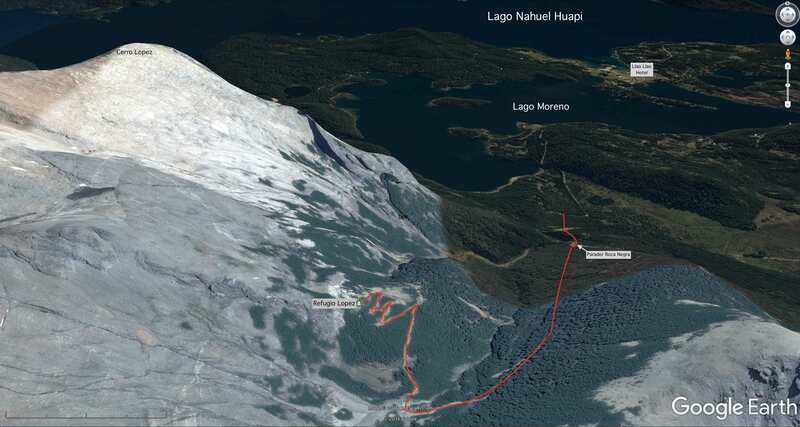 The upscale Llao Llao Hotel was visible down below on a narrow strip of land between the Lago Moreno and Lago Nahuel Huapi. A few days before I had ended my boat trip through the Andes from Puerto Varas on the Chilean side at Puerto Pañuelo just below the Hotel. 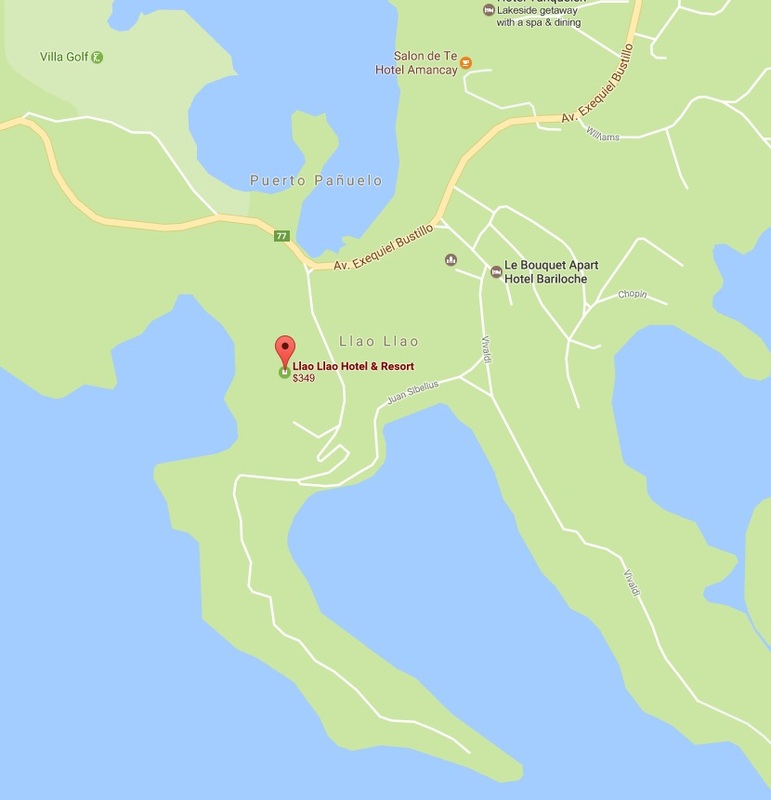 A warning about the pronunciation of “Llao Llao”! With what I thought was my passable Castellano, I pronounced it Yao Yao; I had no idea what Diego was talking about when he said Shao Shao. What he was doing, of course, was speaking Spanish the Argentinian way, the Porteño way. More than once he had me completely baffled! Llamar became shamar and castellano becomes casteshano! 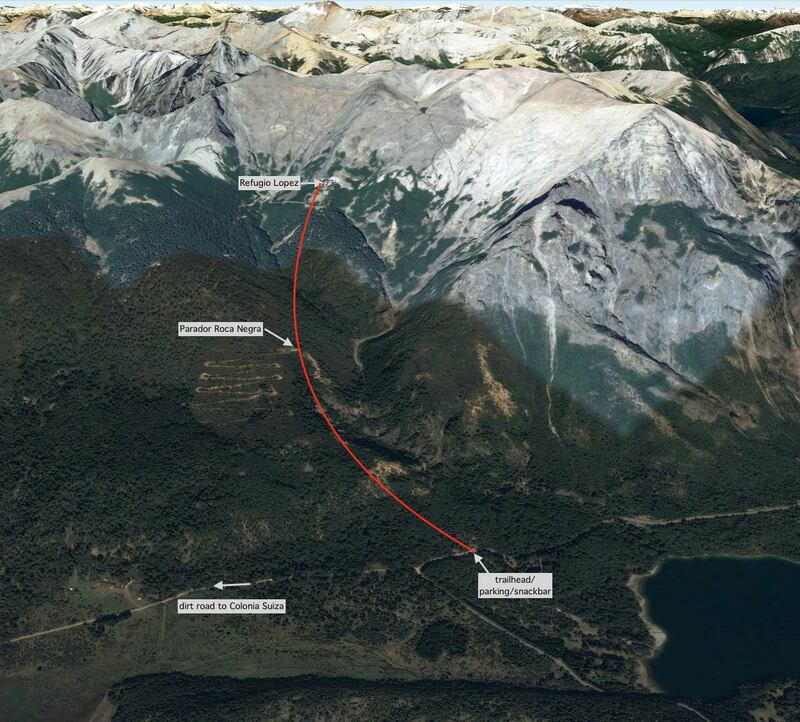 Wikipedia source – here …Cerro Lopez and the Refugio in the background! I never did visit the hotel, perhaps Argentina’s most famous. 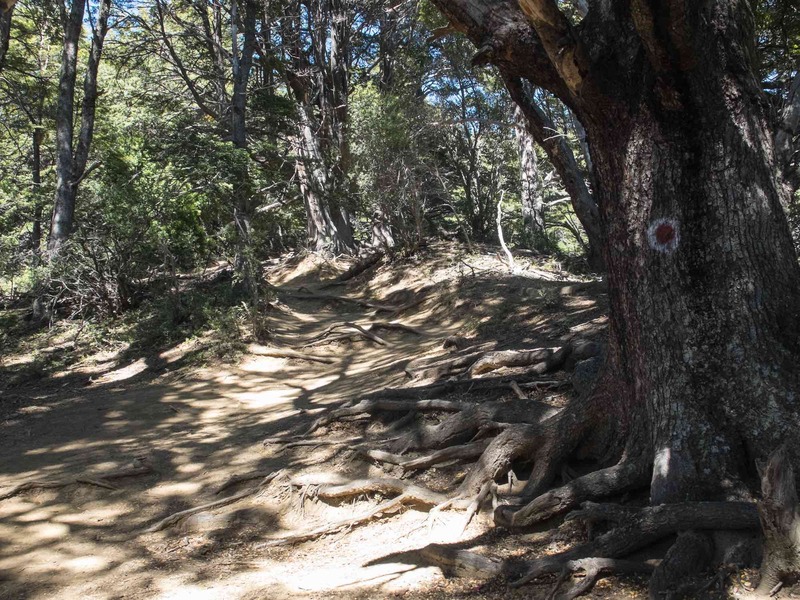 I had intended to bicycle out to the hotel on my first or second day in Bariloche – it is a 30-km ride there – before I set off on this hike. I figured a cup of coffee or maybe lunch there would give me an excuse to walk around and get some neat photos. Unfortunately, my calves and quads were still seized up from the long stretch of serious ice climbing I had done to get to the top of Volcan Osorno on the Chilean side a couple of days before. I needed to recuperate from that before I did something crazy like bicycle 60 kilometers! Sometime around ten Diego and I set off for the end of the trail at Arroyo Lopez. 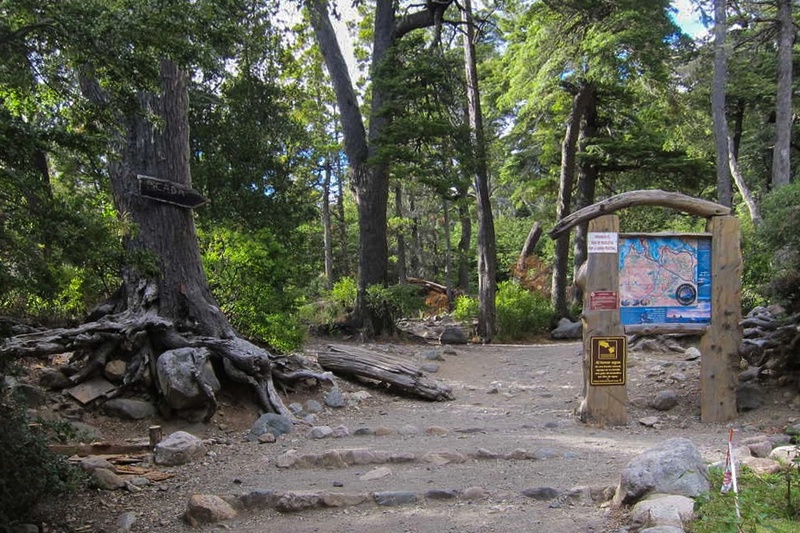 It is six kilometers – and a drop of 770 meters in elevation – from the Refugio down to the road (Highway 77) and the trailhead behind the snack bar at Arroyo Lopez. The trail runs on the east side of the creek bed as it makes its way down the valley. It was a bit confusing at first and Diego and I got separated down near the creek bed. After waiting a bit for him to catch up, I decided to keep going. More trail markers at regular intervals made the way much more obvious. For some reason, I also stopped taking photos! The two below are about the only ones. 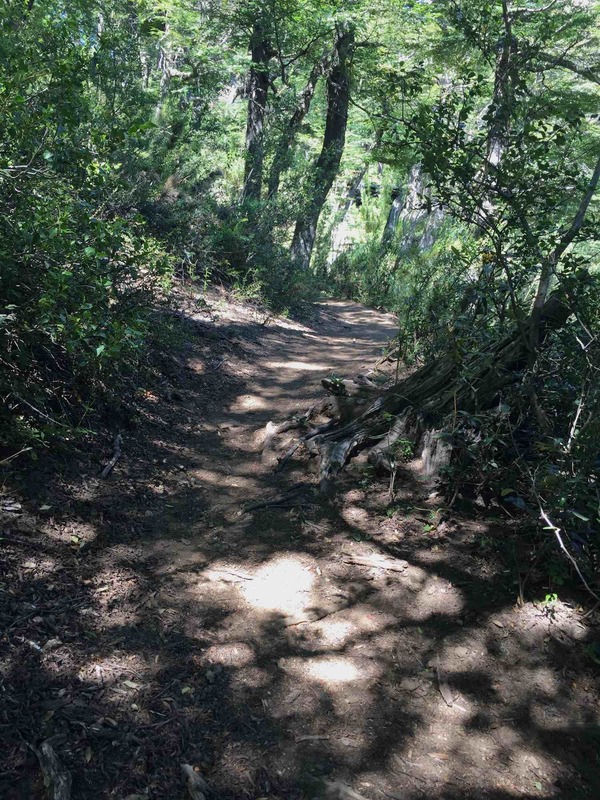 There were certainly no grand vistas to capture – mostly a shaded forest trail taking me to the exit. I was already thinking about how I was going to get back to my hostel in Bariloche for my first shower in five days! 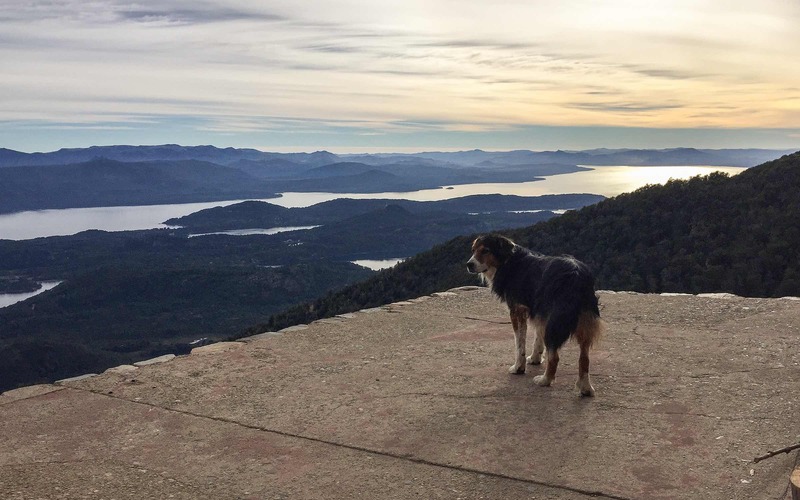 In fact, I ended up googling for some pics of the trail; this Argentinian blogger had a couple I ended up “borrowing” just to remind myself – and show you – what it was I walked by. See his post here for the next two pix – and a lot of other good shots. He took them on the way up to the Refugio! About 45 minutes from the and I came to a dilapidated shack – the Parador Roca Negra – which has a restaurant. There is a switchback road that comes up to this spot and a couple was standing there as I came cruising by. They asked me if I was el canadiense! It seems that Diego, who I thought was behind me, had somehow ended up in front of me! He had told them to pass on the message when I came by. My waiting for him at various points on the trail had only increased the lead he had on me! Relieved that he was doing fine, I continued on down the shady trail, which is carved out of a massive glacial sand deposit. 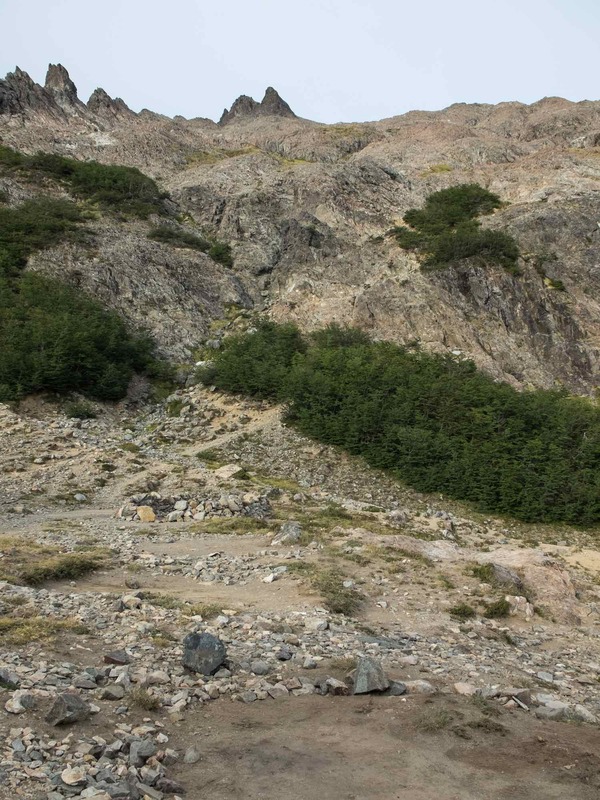 Finally the end of the trail – and the beginning of the road back to Bariloche. The map on the display board in the photo below represents the trailhead of the path to the Refugio Lopez. Next to it was a small restaurant/snack bar with some tables. Parked on both sides of the road were vehicles, left by people who had gone for a hike. There is apparently a problem with cars being broken into when hikers leave them sitting there for a few days! I didn’t even stop for a celebratory can of Coke at the snack bar. Putting down my backpack on the side of the road, I stuck out my thumb at the occasional vehicle that came by. Within ten minutes a young couple with their 18-month old boy sitting in the back stopped and offered me a ride. I hopped in even without asking exactly where they were going – if it was east it was good! 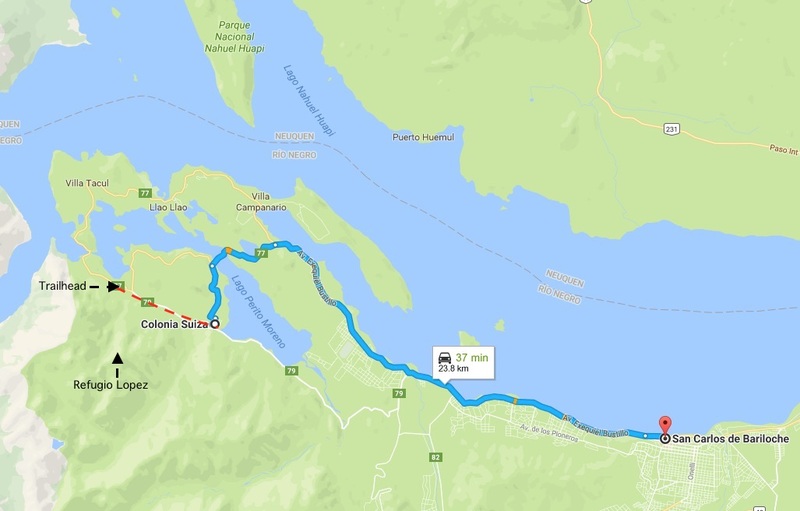 I was hoping for a ride all the way to Bariloche; they were going as far as Colonia Suiza! I amused my fellow passenger in the back seat as we travelled along the gravel road to their restaurant destination in the village. He soon had my index finger in a deadlock! We got to Colonia Suiza and bumper-to-bumper traffic. It was a Sunday afternoon and clearly Colonia Suiza is on the list of must-visit places when in Bariloche! Restaurants and crafts stores and specialty food shops seemed to be the big attractions. Given that the roads are not paved and it hadn’t rained in a long time, the vehicles stirred up clouds of dust. I felt sorry for the cyclists doing their Circuito Chico; this cannot have been what they signed up for! After five days on the trail, all the commotion and the dust were the last things I wanted. How to keep going east? 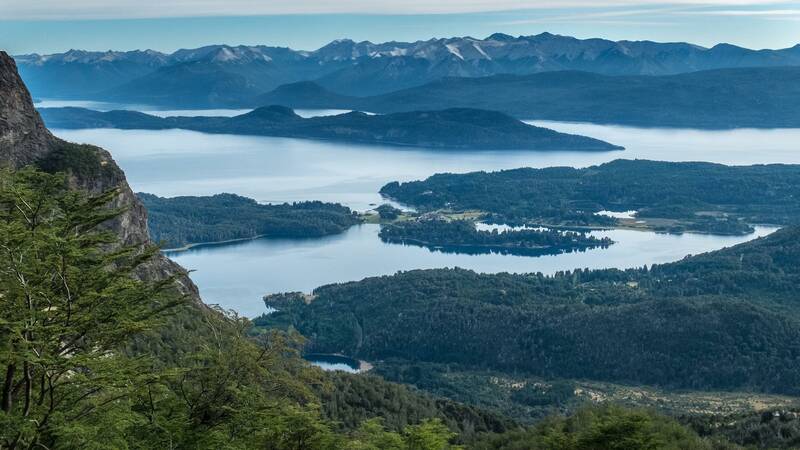 There is a bus that comes through Colonia Suiza – the #10 – which takes passengers to a connecting point for another bus – the #20 – which goes right into Bariloche. Told that the #10 had just passed by and that the next one would be in over an hour I decided to press on, walking down a road that would take me to the one road leading out of the village and to Bariloche. Within ten minutes of setting off, someone stopped – and gave me a ride right to the spot where the #10 bus deposits its passengers for the transfer to #20. Even better – we got there within seconds of the #10 I had missed! On the other side of the road, the #20 had just pulled up and was letting off its passengers before turning around for the return to Bariloche. Buena suerte! I was on my way back to town! 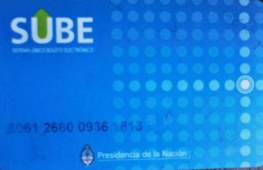 I pulled out my rechargeable bus pass card and paid the fare after the #20 pulled up. 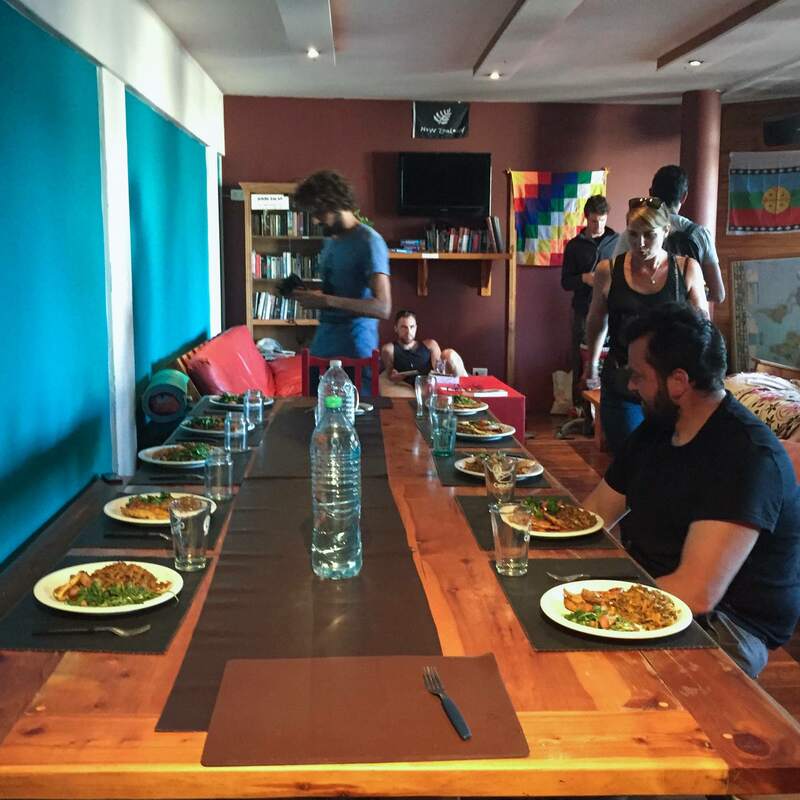 When I got back to Calle Jugamento and the Hostel 41 Below I was expecting to be spending the night in a room with two bunk beds and three other sleepers. The room I had all to myself for the first three nights was supposedly booked for the night of my return. But – more luck! – the room was available after all. (Probable reason – it costs four times more than a bed in a room shared with three others!) I showered and lounged on the bed and had a nap and waited for that evening’s vegetarian supper. And yes – now that I was no longer off the grid, I checked my email and read all the latest about the smash media hit of the decade – the ongoing Trumpland saga. Sad! This entry was posted in Argentina, hiking/trekking. Bookmark the permalink. Hi, Peter, it’s been great to travel through your eyes, thanks for the ride. 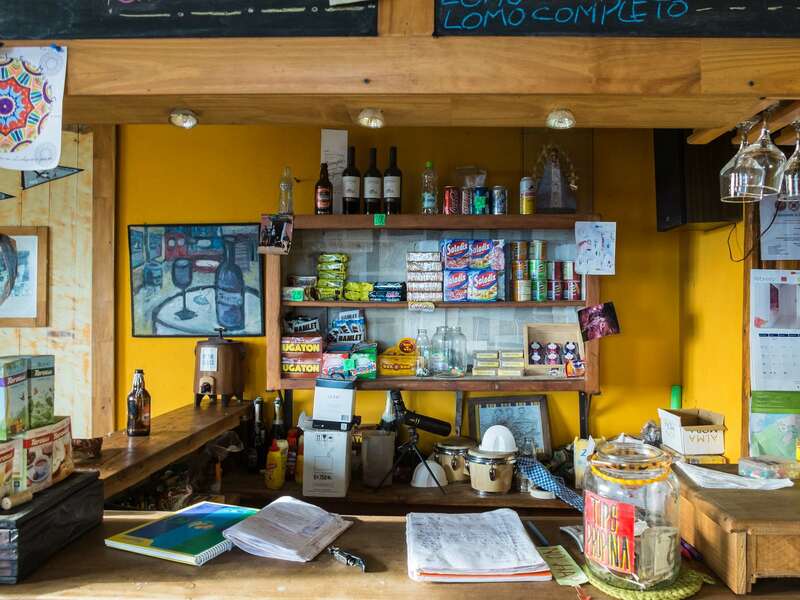 Well, Llao Llao (I also confused the pronunciation ahaha) is like an institution for the people from Bariloche, they seem to be proud of it because its history connects with Bariloche’s history itself. And it is a beauty, with fantastic views all around. I was allowed to take a few shots of the social areas and the surroundings, but I haven’t published anything about it yet. Unlike your experience, it was a rainy day when we went to Colonia Suissa and, believe me, you wouldn’t want that either! After all the mud we drove through, all restaurants but a café were closed and I was expecting to find at least some architecture that resembled Switzerland, but no. Nature really is the best thing in this area, and that’s good enough for me! Marcia, congratulations on reading all that stuff! Most people surfing the net likely spend less than 60 seconds before they move on! Re: the Llao Llao. I’ll admit it doesn’t seem like that amazing a structure but, as you say, the setting is beautiful. Canada too has its national mythology and iconic locations that I’m sure sometimes leave foreign visitors wondering what all the fuss is about! Colonia Suiza – way overhyped! Bungalows on the side of a dusty road – no Swiss village to be seen. Get those photos of yours into a post so i can see Shao Shao and the rest of your Circuito Chico! Like most visitors, my time on the hiking trails is what I will remember of my visit. 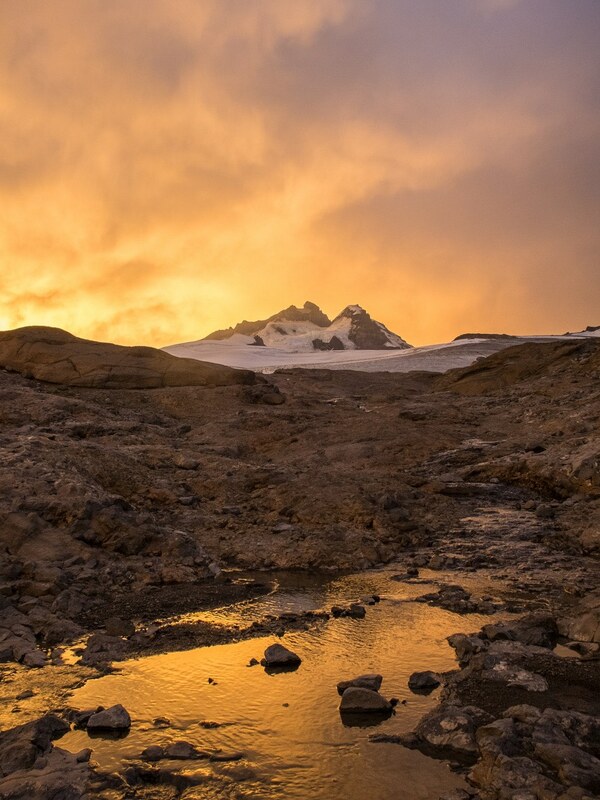 So accessible from Bariloche and so easy to arrange – i could have spent three weeks doing different routes had I known what it was like!